The Pearl Izumi EM Road N2 version 2 is a $120 9.6 oz (M9) trainer. Running Warehouse says they have a 27mm/16mm toe stack. There is more to the absolute stack heights given Pearl Izumi's Dynamic Offset which I will try to explain below. 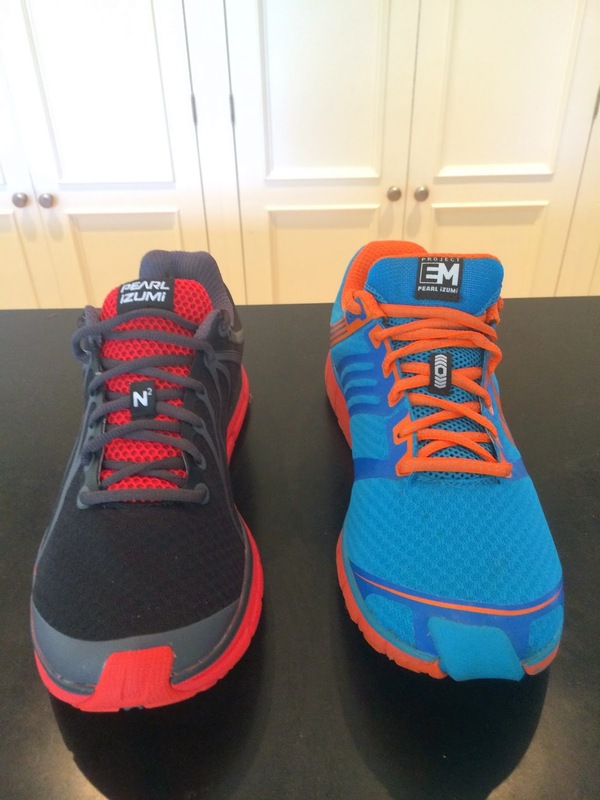 The N2 Road is one of the smoothest transitioning shoes I have run in this year. The version 2 Road N2 solves the key deficiency for me of the original Road N2, an overly firm, even harsh ride. This is still a firmer riding shoe, firmer than Hokas, Boost, or Altra, more akin to New Balance Fresh Foam for example. Strangely, the original lighter Trail N1 was smoother and less firm and harsh on the road. 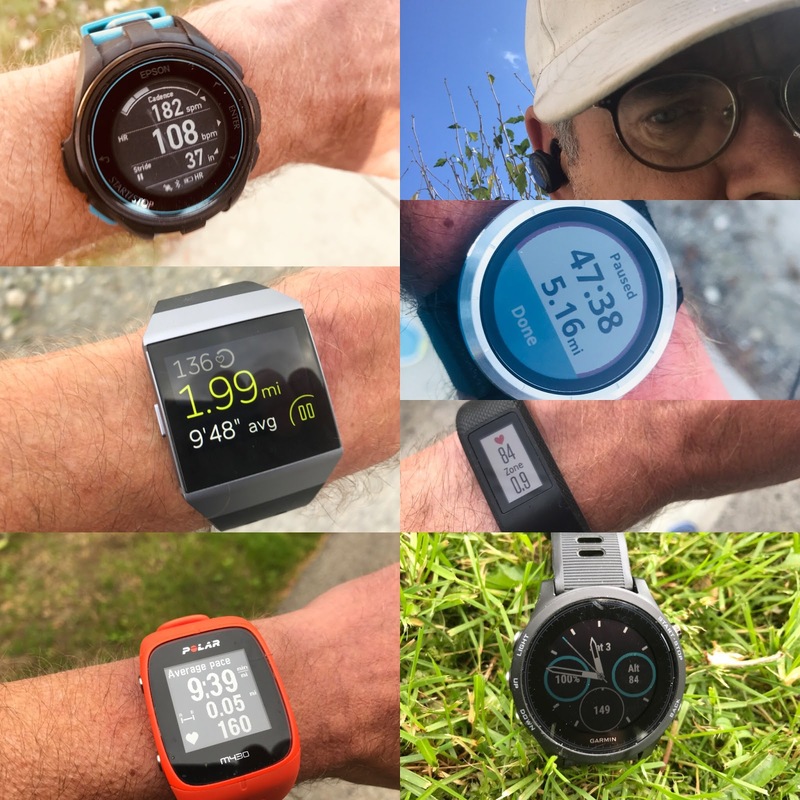 My N1 Trail review here. The potential why's and how Pearl Izumi solved these issues is, as they say, the devil in the details, and the art and science of putting together different firmnesses of materials and geometries. The upper is outstanding. Foot is well held but never constrained. Plenty of room up front for me with no slop at speed or pointy toe feeling. Pearl Izumi was the first shoe company to start to do away with stitching about 10 years ago and they continue to lead in very simple elegant uppers, and comfort. While I never run barefoot I was immediately tempted and I took the N2 out for my first short run barefoot. The N2 fit me true to size whereas the version 1 I sized up half a size . Pearl Izumi wrote me they "widened/improved the forefoot fit across the ball of the foot and big toe area and increased the stick length inside the shoe by 1/4 to 1/2 size." The difference is clearly seen in the photo below. The heel collar is less plush and all that extra stuff is not missed. "The “dynamic” in dynamic offset is due to the unique shape. In the simplest terms we moved the take-off point which is traditionally under the 1st met head or ball of your foot, approx 25mm rearward. By doing this we effectively created empty airspace under the balls of your feet when you are at stance. 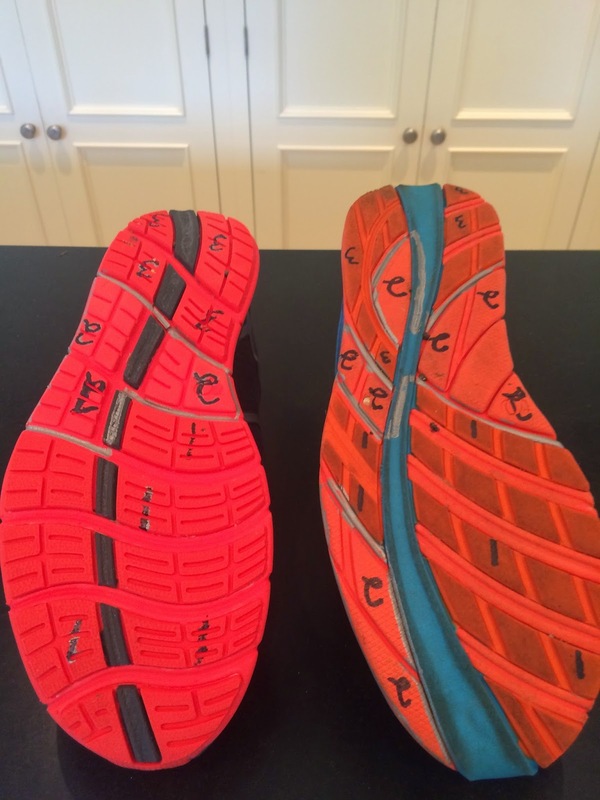 As your ankle and knee come over the top of the shoe moving forward, your forefoot falls into this dead airspace in a smoother fashion with the effect of a smoother transition and less slap." While still firm the new Road N2 has such a less harsh firm and inflexible ride for me. I asked Pearl Izumi what changed. They replied the firmness of the rubber hasn't changed but the outsole geometry has changed from smooth continuous bars to more segmented bars with cuts to increase flexibility in all directions and for a softer feel on the road. I think this is why the Trail N1 felt so much better on the road than the Road N2 of version 1 as the lugs increased both perceived softness and increased flexibility in all directions. . Also I think this is a similar reason the Fresh Foam Trail felt better on the road than the Fresh Foam 980 See review here. 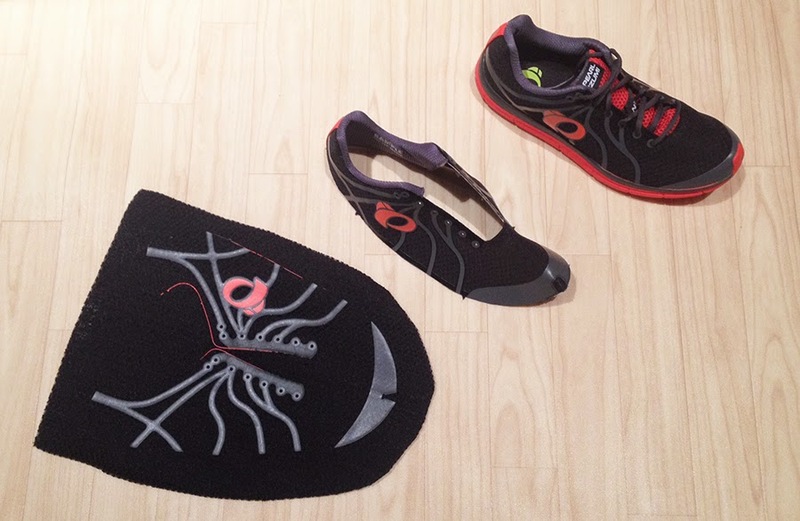 The picture below (V2 left V1 right) illustrates the difference in outsole geometries and materials. "3" being the firmest material, "1" intermediate firmness, and "2" exposed midsole material. If i was to improve this shoe I would soften the heel "3" material a bit. The overall goal of the new Road N2 and M2 for S15 was to soften up the overall under foot experience for the end user. We did this in a few ways that added up to a really nice improvement from the 1st version. We reconfigured the outsole lug shapes for better traction and creating a more responsive and softer feeling under foot. I agree. Pearl Izumi did soften up the overall under foot experience of the Road N2 leading to a very smooth running every day trainer with none of the harshness of the first version. Mind you this is still a firm ride. With the exception of the 1:1 Energy Foam in the heel cavity being softer the rest of the midsole remains as before. 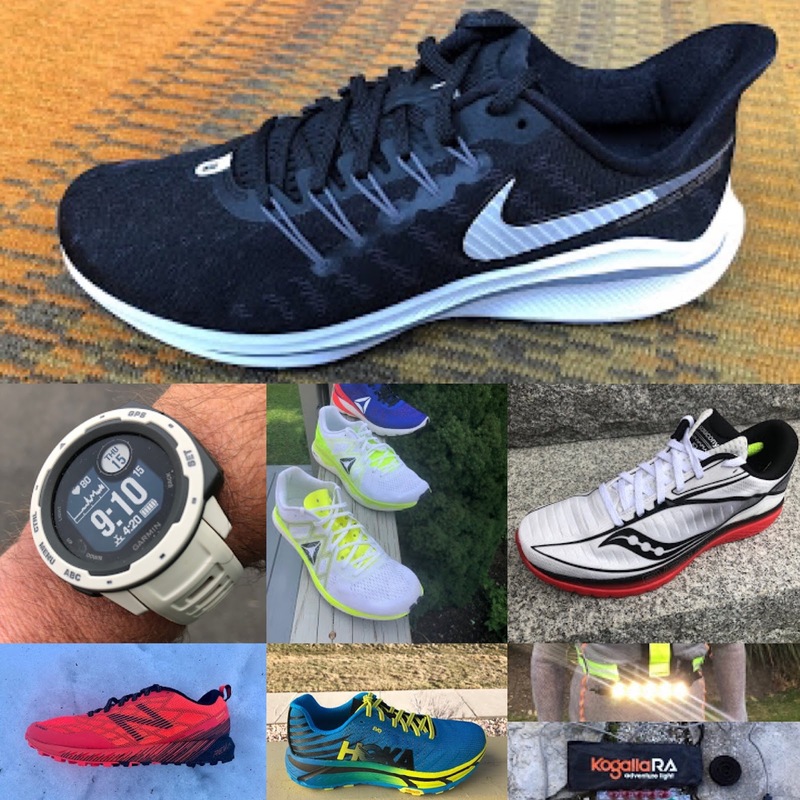 Relatively speaking when compared to many shoes I currently run in ( Boost, Altra Paradigm, Hoka, and and even Fresh Foam Zante) the N2 is relatively firm. The segmentation of the forefoot and new lug shapes is a welcome improvement. The upper is outstanding ,one of the best fitting and most comfortable I have run in this year. Foot is well held yet never constrained. The forefoot is especially well executed: plenty of room yet not sloppy or pinched for me. An outstanding update. Available now. Nice review, Sam - you've got me intrigued! I thought the first version upper was fantastic, smooth but just like you too firm for my liking. I learned a lot about how they distribute different firmness of foam underfoot too! So far, I love the new Trail N1 v2 for the dirt and the NB Zante for the road. The heel collar/counter of the Zante is fantastic. 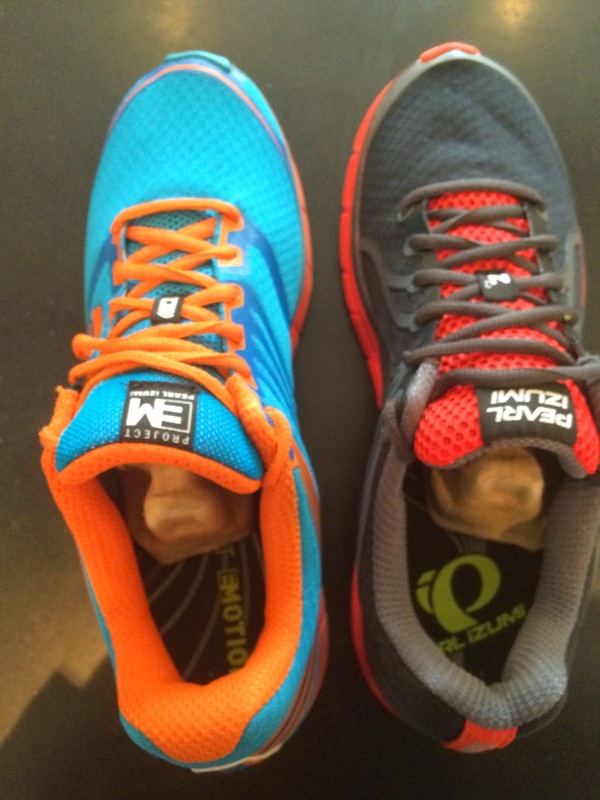 Can you compare the heel collar/counter of the Road N2 v2 with that of the Zante? Thanks! Hi Iggi, I am away from home and both shoes to more closely compare. I will be back there in a week or so. In the meantime the Running Shoe Geeks group on FB can likely answer. Or if you aren't on FB I can ask for you. Thanks for reading!